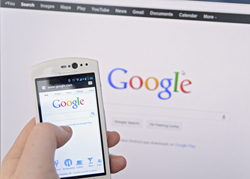 How Much Traffic Will You Lose If Your Website Is Not Mobile Friendly? How Much Traffic Will Your Business Lose If Your Website Is Not Mobile Friendly? Top Reasons You Need To Ensure That Your Website Is Mobile Friendly! Since this announcement, there have been many articles written on the topic. On March 12th, Search Engine Land published an article: How Much Traffic Will You Lose From The Upcoming Mobile SEO-Pocalypse? This is a fairly dramatic title, but is there any merit to it? According to Mitul Gandhi of seoClarity 30% of total traffic, regardless of industry, is done on mobile devices. 1. On average, EACH mobile search triggers nearly TWO FOLLOW-UP ACTIONS. 2. 55% of CONVERSIONS happen within ONE HOUR. 3. 77% of mobile searches are in a location likely to have a PC AVAILABLE to them. 4. 81% of mobile searches are driven by SPEED and Convenience. 6. 81% of CONVERSIONS triggered by mobile search occur within 5 HOURS. The next question: How much traffic will you potentially lose if your site is not mobile friendly? According to some experts, the loss of traffic could be 41% or more and disruptive to many businesses simply because the use of smartphones to do searches online is so prevalent. The Restoration industry is a competitive environment. As a business owner, you need to ensure that your marketing assets maximize the benefits you gain and you should ensure that your website is mobile friendly so that you do not lose out on potential business. Consider this, let’s say a homeowner’s basement starts flooding. Will they find a PC to do a search for a restoration company or will they use their phone? I think you know the answer to that question. 1. Google’s Mobile-Friendly Test: Enter your website’s URL for it to generate a report that will tell whether your website is mobile-friendly or not. 2. HubSpot’s Marketing Grader: Similar to Google’s Mobile-Friendly Test, HubSpot’s Marketing Grader has the capability to analyze if your site is responsive enough PLUS provides a free audit for blogging, social media, SEO and lead generation. 3. W3C mobileOK Checker: Provides a very detailed technical analysis of your website, great to use if you understand the technical components. 4. BrowserStack: This is an excellent tool to see how your website looks on multiple devices and operating systems. Is your website mobile friendly? If not, let us know, we are here to help. RDMS is a full service digital marketing agency specializing in the Restoration Industry. We understand why you need to have a digital marketing strategy, but most importantly we implement it with decisive and tactical action that gets results. RDMS offers an ALL INCLUSIVE web design, SEO, and social media integration package PLUS we are committed to managing the complete online PR of your firm. We will ensure that your blog is updated consistently with content that your customers want to read; distributed properly using social media to maximize exposure and viral sharing; and optimized for SEO so you capitalize on organic searches. To learn more about our services and solutions, contact us for a 60 minute free consultation.